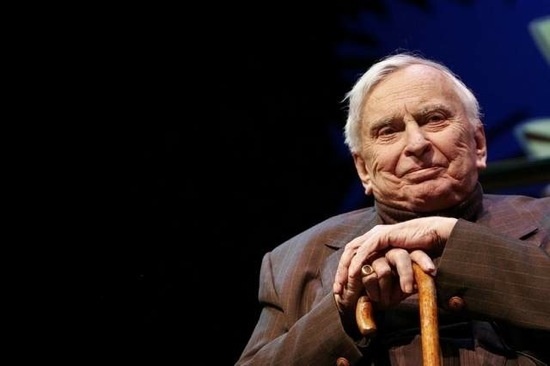 The American writer Gore Vidal has died at the age of 86. The novelist, playwright, essayist and activist, noted for his contributions to American cultural and political debate, died yesterday evening from complications arising from pneumonia at his home in the Hollywood Hills, Los Angeles. According to Vidal's nephew, Burr Steers, the writer had been ill "for quite a while". His writing career began at the age of 19, when he published his first novel, Williwaw, in 1946. He went on to publish 24 further novels and collections of short stories, with his most notable work including The City and the Pillar, Myra Breckenridge and Duluth. A report on the Guardian adds that it was his social standing, though, which was perhaps his most remarkable achievement: "Vidal, who once said he had 'met everyone, but knew no one', gave JFK the idea for the Peace Corps, was called in to rescue the script for Ben-Hur, ran unsuccessfully for both Congress and the Senate, and got into a fist-fight with Norman Mailer."